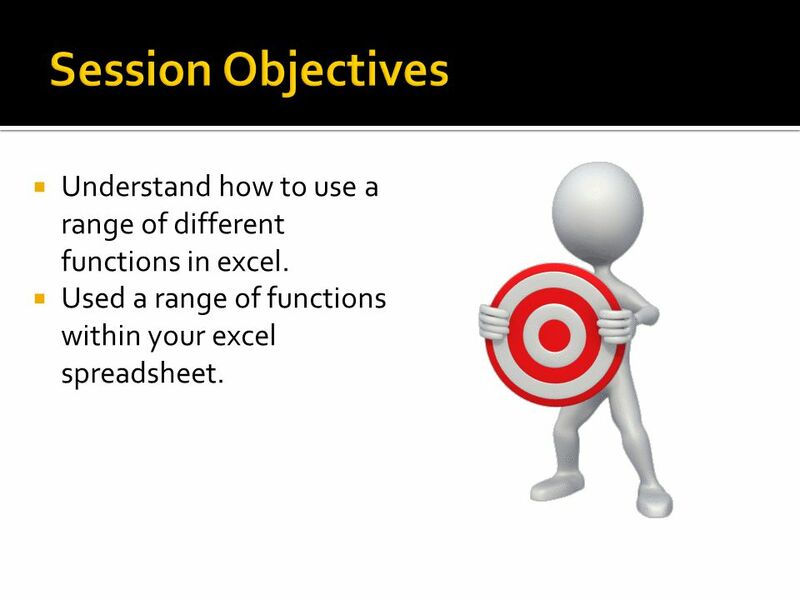 G042 Task 4  Understand how to use a range of different functions in excel. 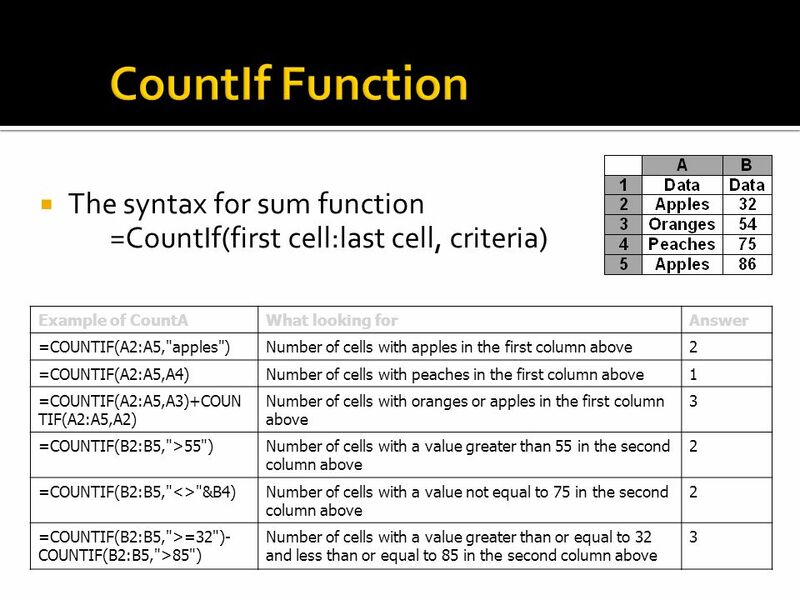  Used a range of functions within your excel spreadsheet. 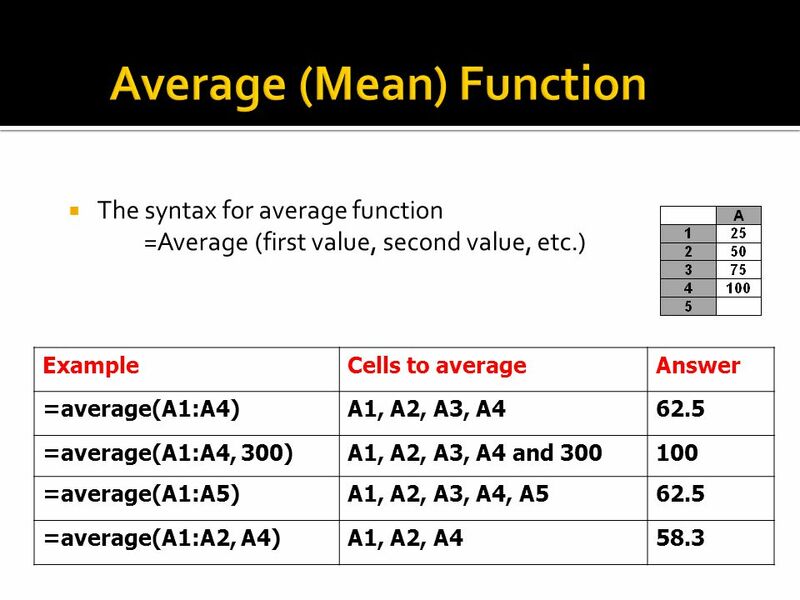 3  Understand how to use a range of different functions in excel. 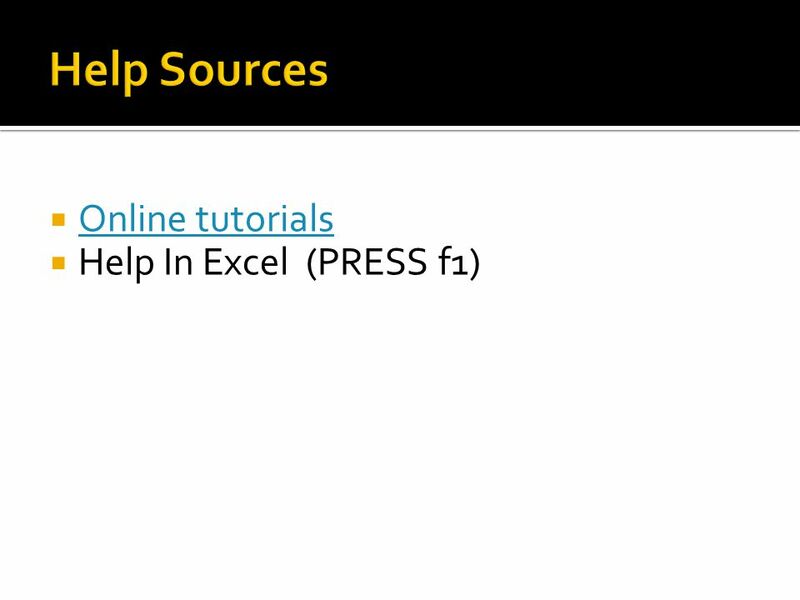  Used a range of functions within your excel spreadsheet. 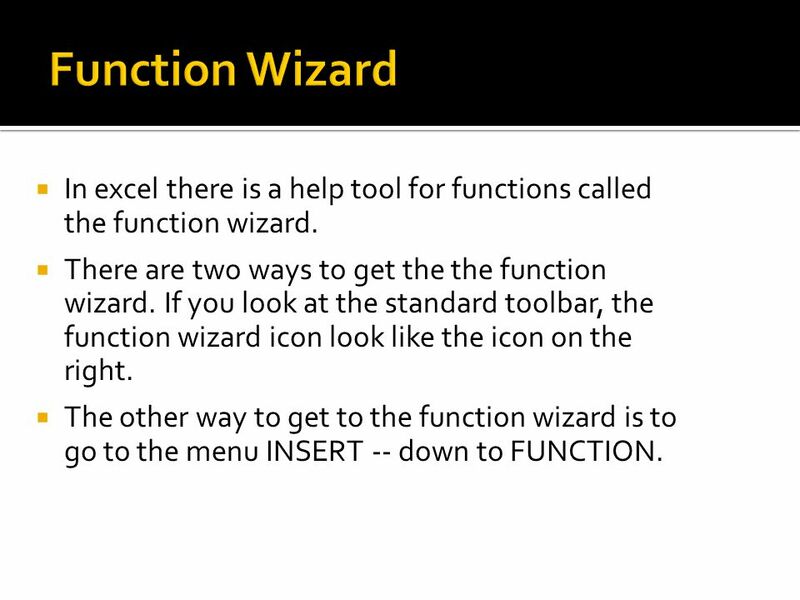 14  In excel there is a help tool for functions called the function wizard. 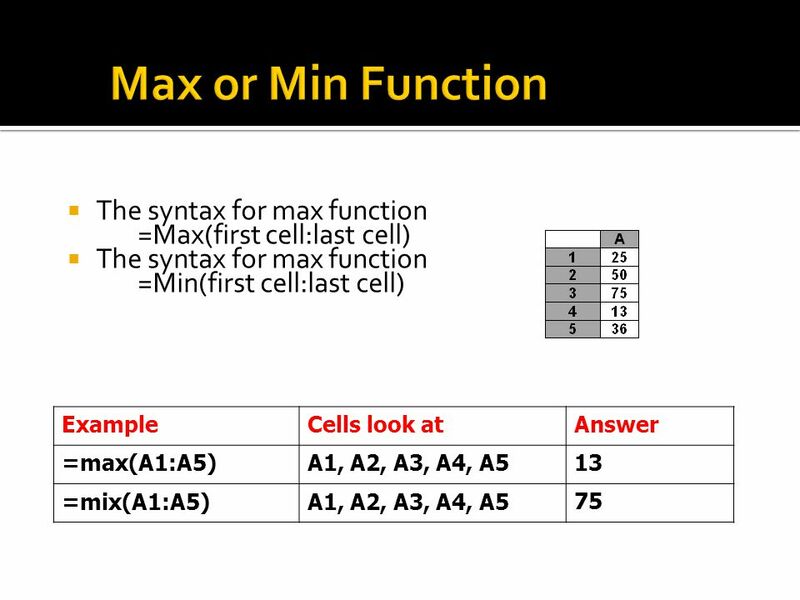  There are two ways to get the the function wizard. If you look at the standard toolbar, the function wizard icon look like the icon on the right.  The other way to get to the function wizard is to go to the menu INSERT -- down to FUNCTION. 15  Add a range of useful functions to your spreadsheet – think why you are going to include them – don’t just include for the sake of it. 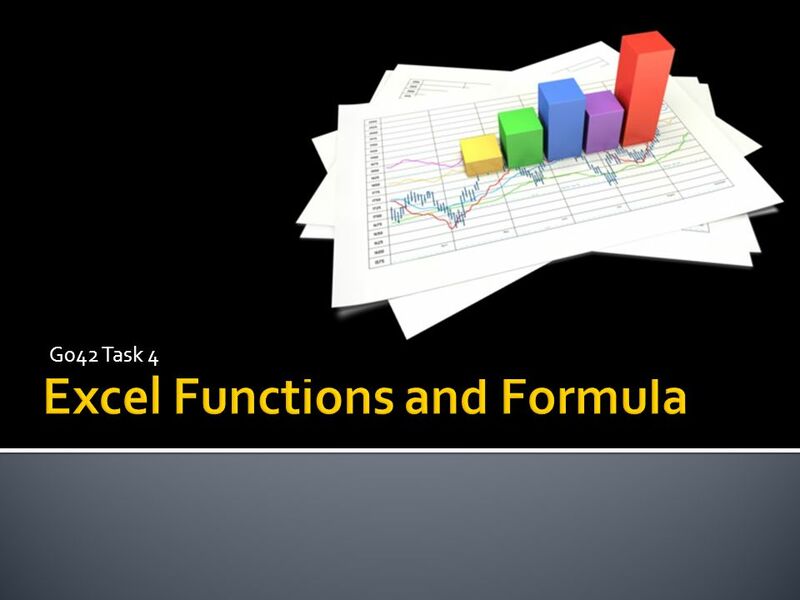 Download ppt "G042 Task 4  Understand how to use a range of different functions in excel. 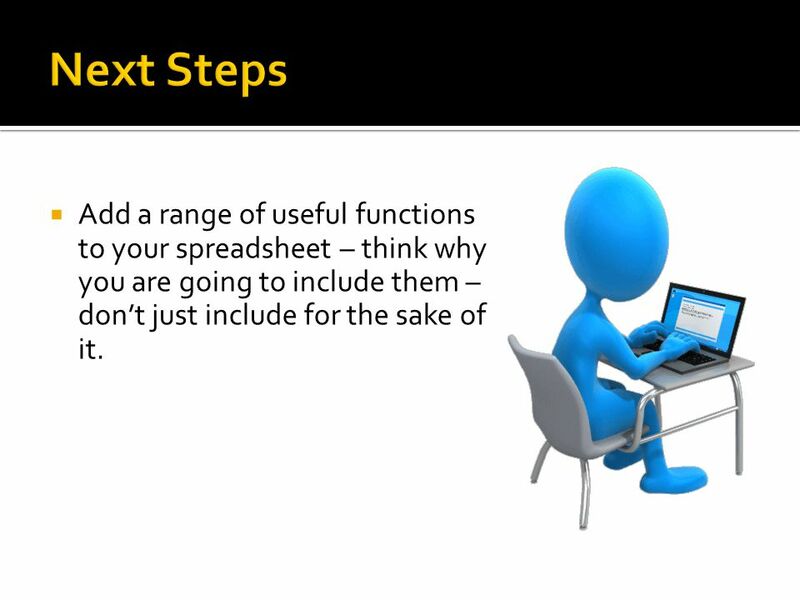  Used a range of functions within your excel spreadsheet." MS- Excel Spread sheet Program Component of MS-Office suite Performs Calculations, Maintaining Databases and Summary Reports Graphs. CIS100 Test 2 Review REACH CRC © 2011 REACH CRC. All Rights Reserved.Spring 2011. 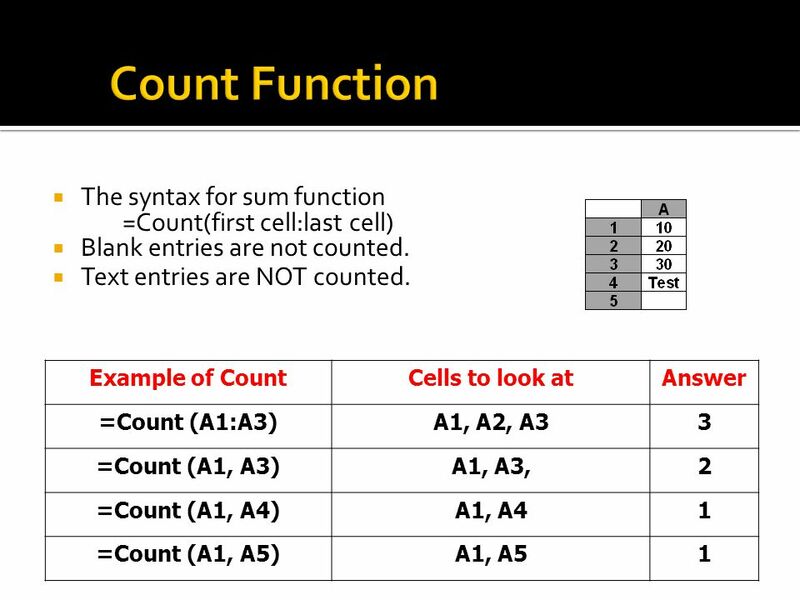 CS&E 1111 Exfunctions Using Functions in Excel Objectives: Using Excel functions l SUM, MIN, MAX, AVERAGE, COUNT, COUNTA l ROUND l COUNTIF, SUMIF, AVERAGEIF. 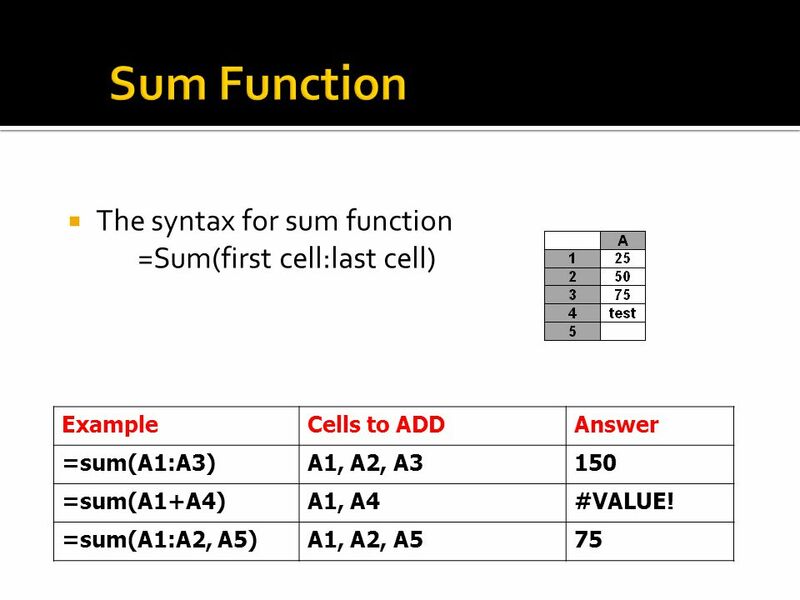 CS1100: Computer Science and Its Applications Building Flexible Models in Microsoft Excel. 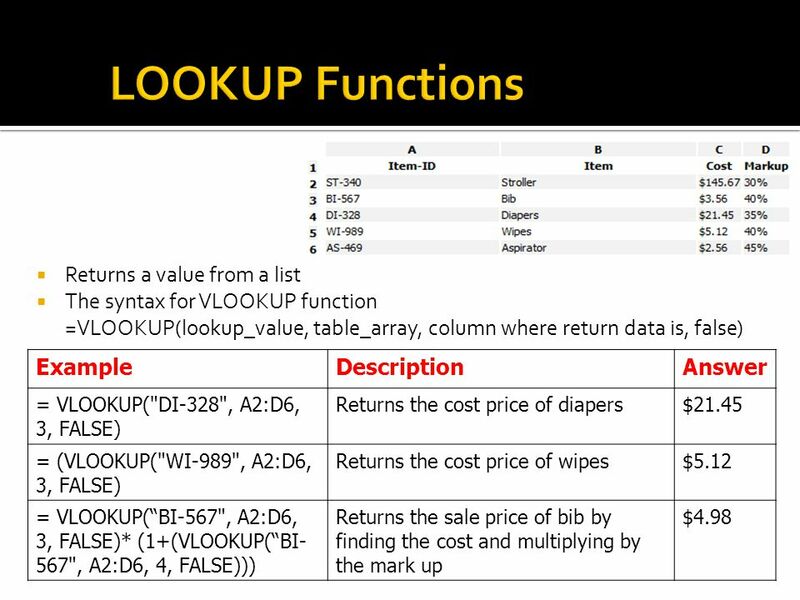 Jump to first page Excel Functions By Dr. Farrokh Alemi Dr. Kashif Haqqi. E ngineering College of San Jose State University Engr.10 1 JKA & KY.
EXCEL UNIT 3 Computer Technology Timpview High School. 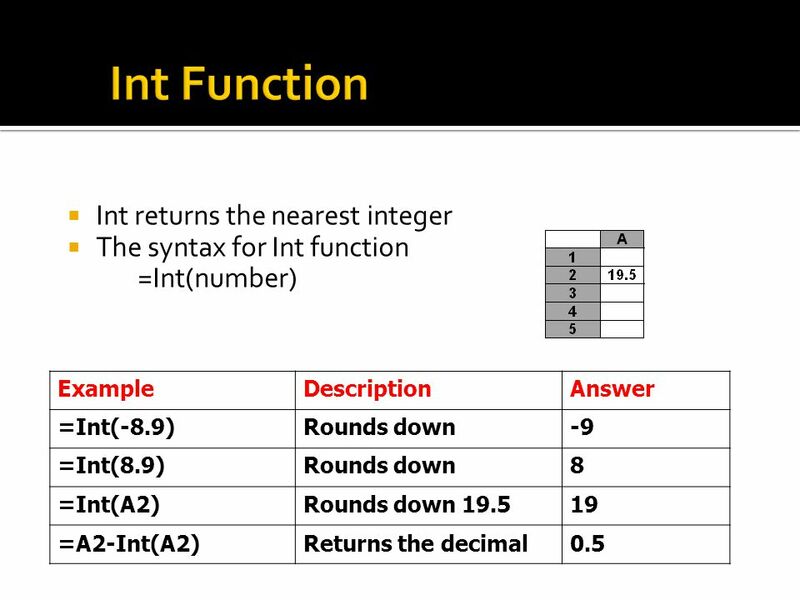 © Paradigm Publishing, Inc Excel 2013 Level 2 Unit 1Advanced Formatting, Formulas, and Data Management Chapter 2Advanced Functions and Formulas. REACH CRC © 2011 REACH CRC. All Rights Reserved.Fall 2011. REACH-CRC © 2013 REACH-CRC. All Rights Reserved.Spring 2013. 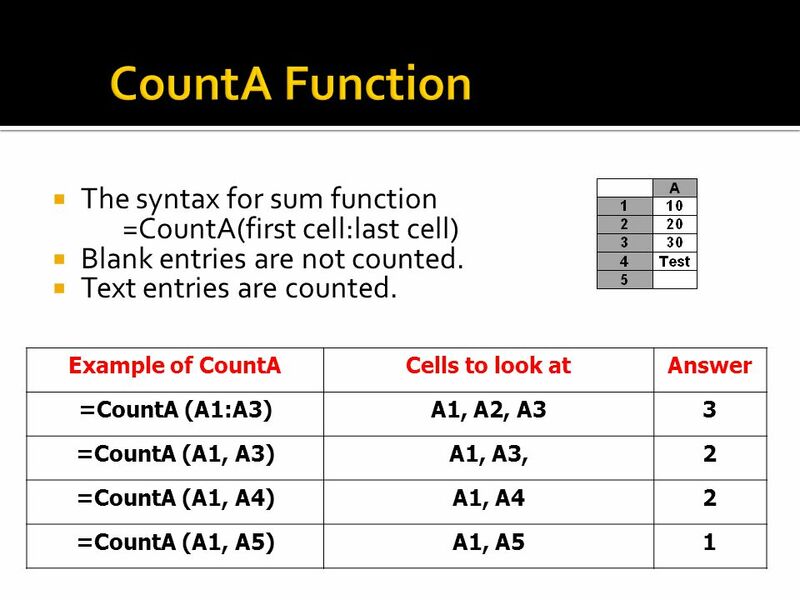 CS1100: Computer Science and Its Applications Excel Basics Modified from originals created by Martin Schedlbauer, Peter Douglass and Peter Golbus. 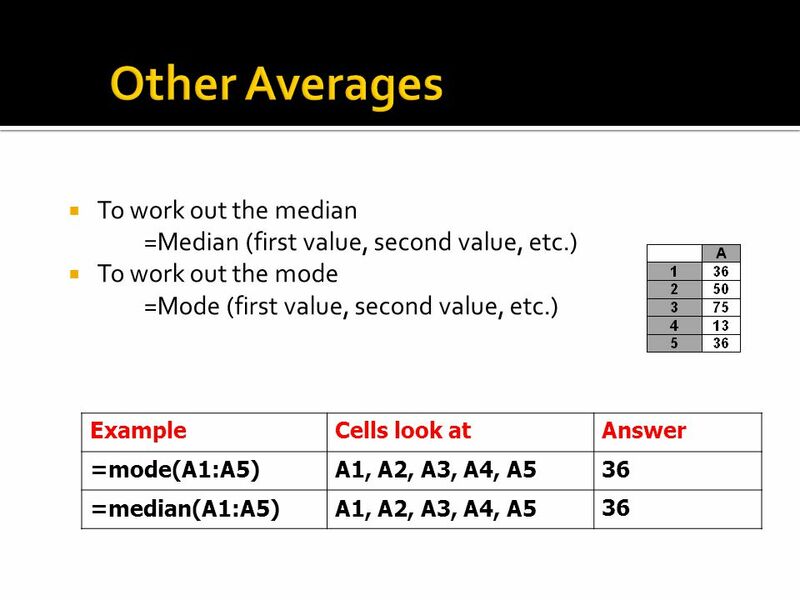 Using Microsoft Excel for Marketing Research By William G. Zikmund. 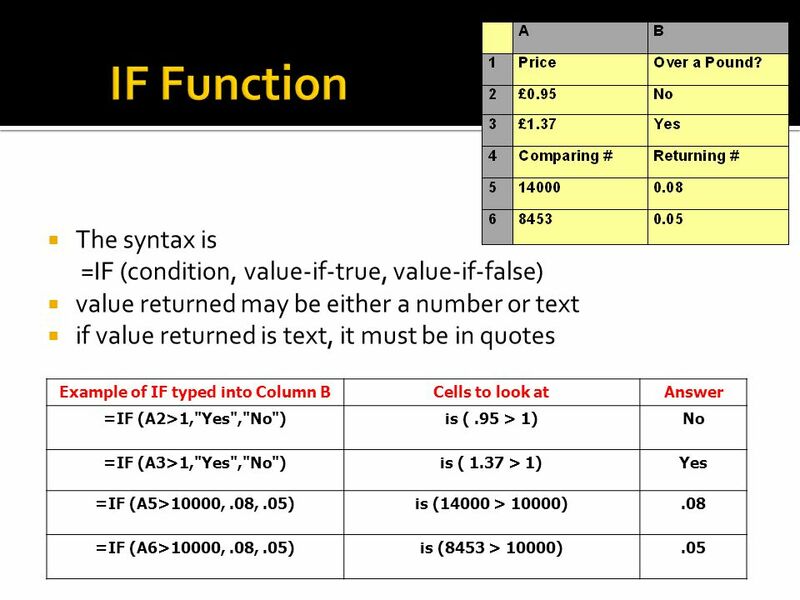 Excel Functions By Hani Almohair Microsoft Office 2003.